I added now support for splitting handles and making them a-symmetric, thus being able to draw cusps in a line. While in path-editing (white arrow) a contextual menu will allow you to choose what kind of type the node is. To support this new kind of information which is associated with each node, I changed the file format. Paths are now saved as a series of control points with their associated type, instead of the older format that was essential PS data, where each line-to and move-to was described. The latter format split information about each control-point between left-and-right and while more compact, did not allow to add the new information. Anyway, here the result, left a smooth path, right the same path where the central point has been "split". Note to self: this will allow to draw Graphos' own logo in Graphos much better. Something to do the next time I'm bored! 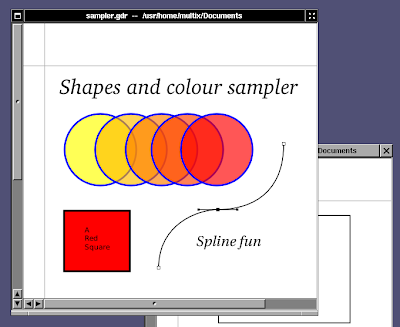 The GNUstep Application Project announced a new release of its vector drawing application, Graphos on Oct 15th. Improved text object and handling, improved selection handling (e.g. for multiple objects that are group selected) and many other bugs. 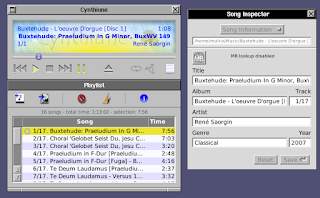 The format is 0.4 compatibile, although text object might be placed differently if loaded from old files, due to the old bug. 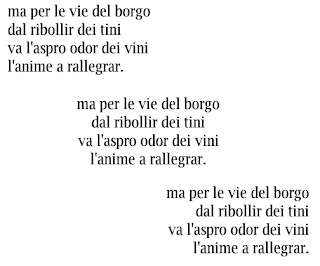 I finally fixed text alignment in Graphos! It was broken since a long time, perhaps since Graphos 0.1, probably due to the conversion made from GDraw. You had the controls in the editor, but then it didn't draw correctly! Another long-standing bug was the manipulation of handles of a closed bezier path: the handles inside the path could not be touched. 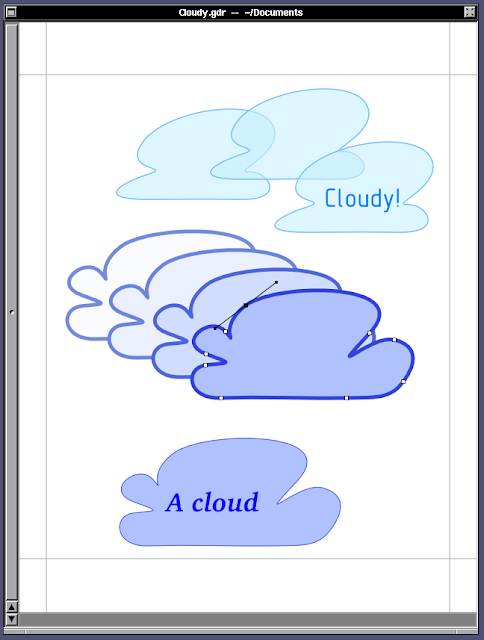 I think this bug existed even in GDraw! A lot of work then went into restructuring the whole architecture that handles the zooming of the view. previously, everything was recomputed, there was no notion of original size, everything was transformed back and forth on the fly. While quick and easy, this provided serious problems when saving! Furthermore it means that there is data corruption when performing zooms! Now, the original information is stored inside each object and everything is then calculated for representation. Some zoomed data is pre-calculated, other not. Probably there can be quite some optimization, but first everything needs to be debugged, since this is a quite consistent change. No new format is necessary since previosuly saving with a zooom different from 100% resulted in a broken file anyway. I changed the way selection and editing of paths and objects work in Graphos. Previously, the program attempted to be smart: the "white" arrow tool would auto-select an object and start editing it. Clicking outside would deselect it. This arrangement makes the two tools more orthogonal. 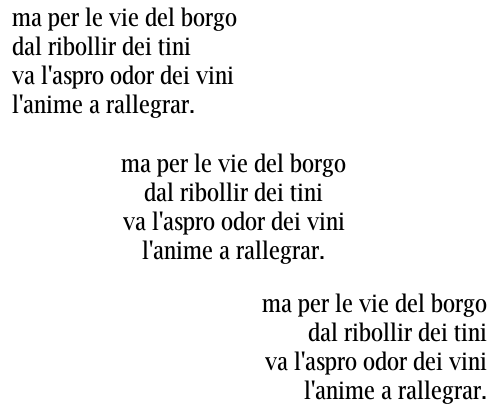 It looks perhaps a bit more cumbersome for basic operation, but it ends to be much easier when objects overlap. Especially when using a graphics tabled this makes a huge improvement in my opinion. I enhanced DataBasin object's describe. First, I do parse the RecordTypeInfo now, but that was the easy part. Salesforce.com returns only the record type ID and name, but programmatically, this is not very useful. The important bit would be the Developer Name of each record type. 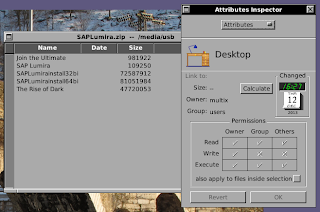 I enhanced the results by querying automatically the RecordType table, extracting the Developer Name, matching it through the RT Id and merging back the results, so that the resulting DBSObject has a complete Record Type information, totally transparent. I am streamlining GNUstep's Workspace. 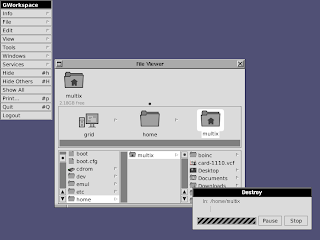 For many years it had a mode for spatial navigation, inspired essentially from Mac's finder and by GNOME. 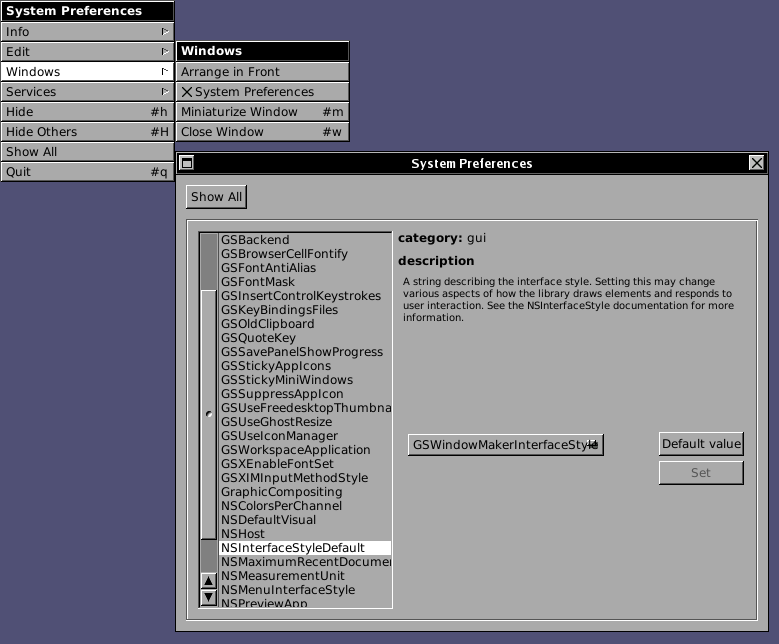 I personally never felt that it fits well in OpenStep's paradigm. 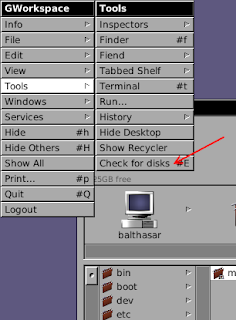 MacOS X incorporated it for legacy reasons of Mac Classic, becasue Apple (sadly) wrote a new Finder instead of using OS's Workspace. Spatial is good, but I think having a manager which incorporates both philosophies not. Thus I removed spatial navigation from GWorkspace. Some loyal users perhaps will mourn it, but I want to remember that GWorkspace is just one possible application to implement NSWorkspace, anybody can write a replacement. In fact, I have already plans to write an alternative version, but this will be material for other blog posts. 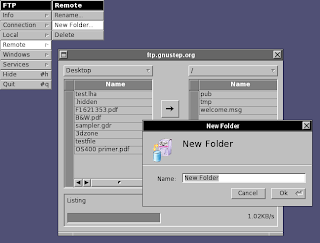 FTP 0.4, the ftp client of the GNUstep Application project, has been released. Better progress report, also for file listings. Indeterminate progress if size is unknown. 64bit and portability fixes. 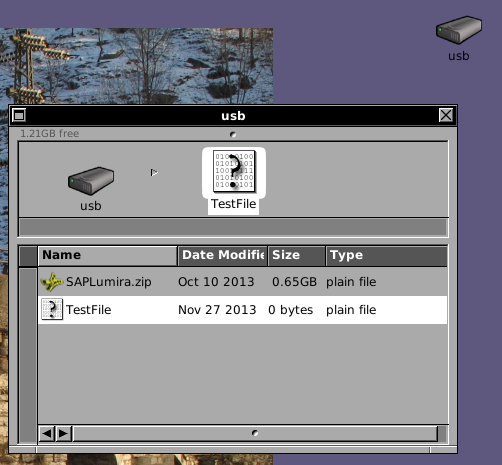 Smaller fixes about corner cases with empty selections and empty files and interface locking. When disconnecting, the remote connection gets cleared. More minor but annoying bugs, like problems with large selections on Cocoa. 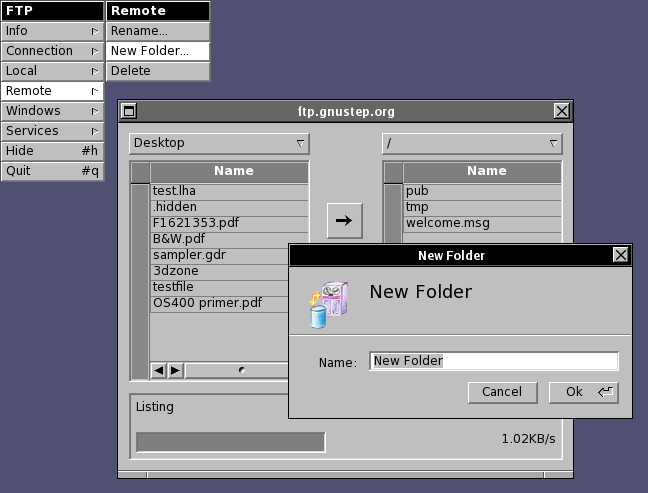 pleased to announce the new release of the GNUstep Workspace application. This is mainly a bug fix, stability and improvement release. Thanks to the many who tested and contributed fixes, first of all Sebastian Reitenbach. Select Identify is now vastly improved. Supporting multiple columns and LIMIT, coupled together with the other improvements of this release, makes it an invaluable tool during support and maintenance of a Salesforce org. How else could you check the status of a lot of objects, say Cases or Accounts? The object inspector is always handy too. 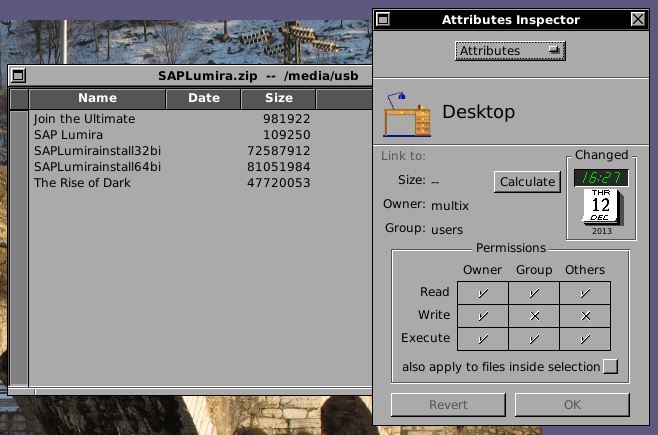 DataBasin allows you to work with SalesForce.com much easier and also from your favourite free OS using GNUstep like any BSD or GNU/Linux or at need on Solaris or Macintosh. Many thanks to my colleagues, Claudio and Paolo amongst them, for finding bugs and testing the 9 internal beta releases! 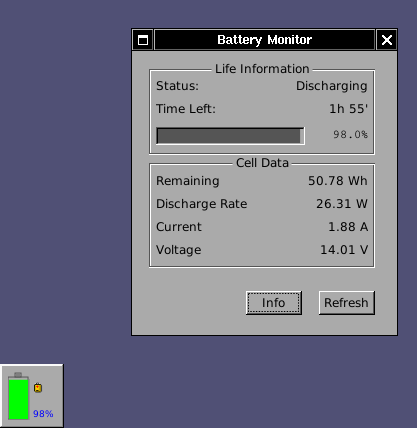 Battery Monitor 0.7 is now available from GAP. Improved BSD support has been improved, Support for linux on powermac has been added. 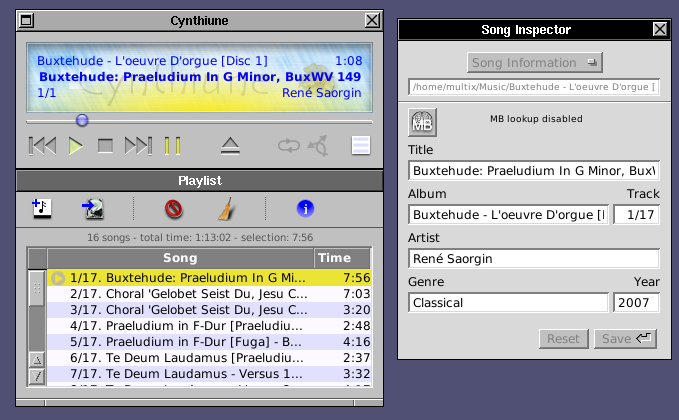 Cynthiune 1.0.0 has been released, the Music Player for GNUstep. This is the first of GAP after Wolfgang handed over the source code. Improved stability, portability, support for big-endian processors. 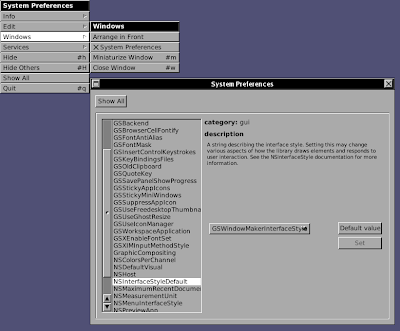 Ported to Windows and Macintosh. Memory leaks and bug fixes. This is definitely a recommended upgrade. Thanks to Wolfgang for the code and Sebastian and Philippe for the long hacking sessions! I thought it would be fun to share how well GNUstep runs these days. FreeBSD now is a first-quality platform! Stable and not second to Linux at all. NetBSD is close to it too. 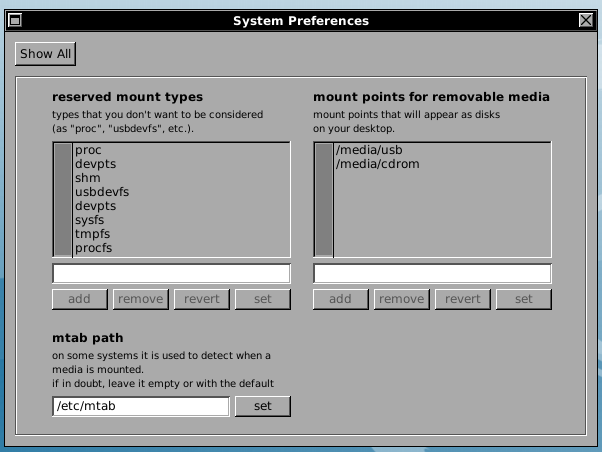 I try hard that all application maintained by me are not "Linux centric" as most of today's desktops are! First a clean desktop. Just the workspace and a terminal. Icon display in a viewer, miller column browser (my favourite) in the other. Transparent dock on the right, showing some running apps and some not. Battery Monitor in the background and as AppIcon! Now perfectly running on FreeBSD! IN the development screenshot, we can just admire ProjectCenter with the build panel and a detached editor window. 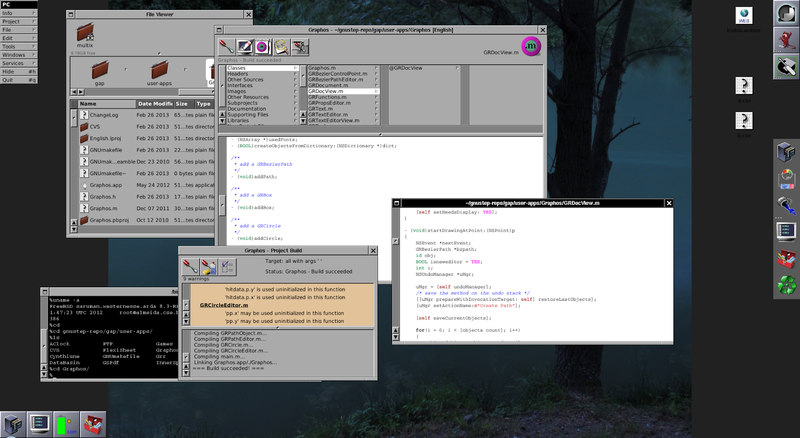 In the background, a GWorkspace file viewer in "details" mode. I just have improved GNUstep's Battery Monitor support for FreeBSD. It now handles the High state, that is the state where the battery is present and charged and not charging. Furthermore the cases of Missing batteries or a battery in Critical low state are now handled much better. Check out CVS or wait for the upcoming release!